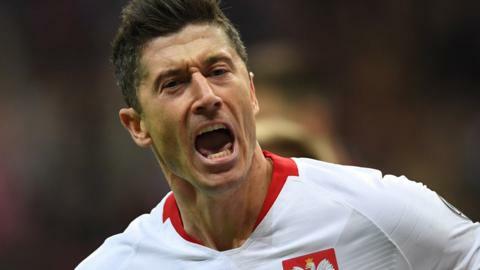 Robert Lewandoski comes to the rescue as Poland score twice in the closing stages to avoid an embarrassing draw with 131st-ranked Latvia. Poland come from behind to draw with Portugal and ensure they will be in pot one for the Euro 2020 qualifying draw. Manchester City winger Bernardo Silva scores a stunning goal as Portugal beat Poland in the Nations League. Rodriguez stars - but does he top your Colombia ratings? Read more on Rodriguez stars - but does he top your Colombia ratings? Pawel Adamowicz fue atacado por un joven el domingo por la noche durante un concierto de beneficencia. El alcalde murió este lunes a causa de las heridas en el abdomen.